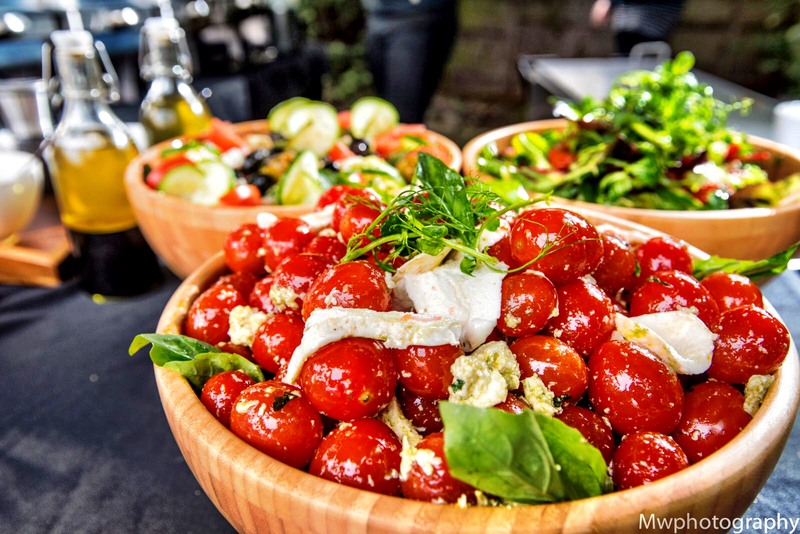 I am a caterer and work mainly in towns of North Wales. I guess you could say I’m a simple hog roaster, though I do boast quite a variety of talents as regards roasting meats! And that is due in no small part to the excellent range of machines for purchase or hire from The Spitting Pig Company. In the coldness of February, I was contacted by a young couple wishing to hold their wedding in the beautiful Welsh town of Holywell in Flintshire at the end of May. 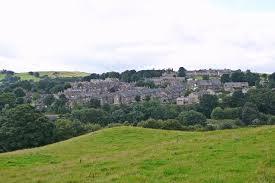 Holywell is located at the end of the glacial Greenfield Valley. I have visited Holywell often and I have always loved it. The town has an interesting history which includes the famous legend of St. Winefride. As the story goes, this lovely lady was approached by Caradoc, a prince’s son, who had an eye for the ladies, if you will. Poor young Winefride spurned His Royal Highness’ advances and for that, he instantly pulled out his sword and beheaded her! However, upon the very spot where her head fell, up came a spring which was never there before. Fortunately, her uncle, St. Buenos came along quite quickly after the poor lass lost her head and he put it back on! This holy well is how the town came to be named and it is known as the ‘Lourdes of Wales’ and has been a pilgrimage site since the 7th Century. Apparently, the waters of this well have healing powers. So many Kings and Queens and Princesses have visited Holywell through the centuries, but today, it was to be me, to do my part to make hog roast Holywell a memorable occasion or one lovely couple. The wedding was not expected to be more than 80 people, and so I brought along my Titan machine. Instead of roasting a whole hog this time, I used some large slabs of pork loin as well as chicken and lamb. As well as cooking the meat, I was able to roast jacket potatoes. This particular way of cooking potatoes keeps them moist and soft on the inside whilst ensuring a crispy outside skin. I arrived early at the venue for the reception and got everything set up in no time at all. Travelling with the Titan is no problem as it is compact and easy to manoeuvre, boasting roadworthy go-anywhere tyres. Once the guests began to arrive, the meat was spitting well and the enticing smells were wafting all over the area. We had a lovely day presented to us, but with weather always a consideration, the reception itself was to take place indoors, while I was set up comfortably just outside the back door with a three-sided marquee to protect me in case things turned inclement. Because this was a wedding reception, a more formal affair than an outdoor festival, upon being hired by the couple, I immediately turned to The Spitting Pig Company to enquire as to whether or not they would be able to provide a few waiting on staff to assist as well as bring various other dishes with them. I have found over the past few years of owning a Spitting Pig Company hog roast machine or going for an additional hog roast hire Holywell, that they view our relationship as a partnership in business. They haven’t been 20 years in the business for nothing. Although they normally provide their own chef, my bespoke requests were not a problem to them and the staff arrived neat and tidy and bearing a menu which consisted of an array of canapés to keep the guests happy until it was time to serve the main meal, and a variety of fresh salads to compliment the meat and potatoes. They were also instrumental in setting up the hall with fine china and cutlery, glasses and everything you’d need for a lovely wedding. The couple set up the decorations and brought along the cake, the wine and champagne, and after that, had not one thing to worry about. Our waiting staff were supremely professional and treated each guest like royalty. In fact, my role in this affair seemed small in comparison! Needless to say hog roast Holywell went to plan and a wonderful time was had by all. The bride and groom were very pleased with how smoothly everything went and there was no end to the compliments from family and friends. And, happily, even with the hog roast hire Holywell elements to the day, my profit margins remained intact.